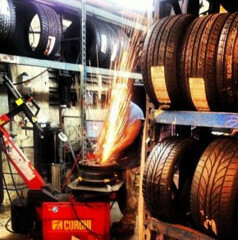 Dinosaur Tires is an auto shop specializing in affordable new and used wheels and tires in Fort Lauderdale FL. We carry the top brands for cars, trucks, and bikes. In addition to custom and chrome rims, Dinosaur Tires performs general auto repair and maintenance.